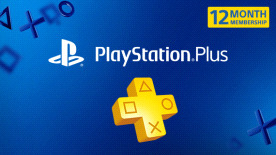 Your 12-month membership subscription will renew automatically and $59.99 + applicable tax will be deducted from your PlayStation™Network (“PSN”) account wallet every 12 months until you cancel. If your wallet has insufficient funds, your PSN account’s default payment method will be charged. To cancel, go to Settings>Account Management>Account Info>PlayStation Subscriptions on PS4 or see “How to Cancel” below. Enrolling in service turns on your PSN wallet’s automatic funding setting. Price may change. No refunds.